We are periodically adding new information to this page, so be sure to check back here for updates. Donating directly to groups on the ground, or to the victims via gift cards are the top priority, and if this is something you can do, we have listed groups on the bottom of this post and, (this just in) an anonymous donor will match up to $10K on our Make it Better Red Cross funding account. For volunteering opportunities in various towns as well as a detailed list of donation needs throughout Marin, Napa and Sonoma counties, updated fire maps and school closure information – in other words, for anything you need to know about helping or getting help, please click on this Google Doc. 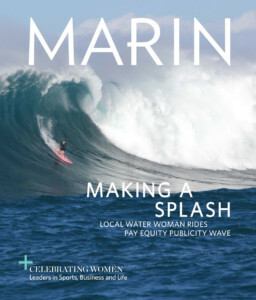 Marin Magazine contributor Kirsten Jones Neff wrote about her experience during the disaster. She also found that one of the best ways you can help Napa and Sonoma is by visiting! Make sure to support the local businesses in their time of need. Fire Relief Fund via Race For Kids Gran Fondo: https://tinyurl.com/RFK-Fire-Evacuees-Supply-Fund Local grassroots fundraiser with a team of volunteers who are buying supplies for shelters as new needs arise. Text Steve Cozza for air mattress and cot pick-up at (707) 328-9766. Tax-deductible charity. We will continue to update this page as we receive more information from the community.